“Any job worth doing is worth doing well.” These words of wisdom were passed down to me (burned into my psyche, painted indelibly on the walls of my mind) from my mother – and likely to her from her mom. When I was little, these words meant time: time doing work, not playing; time paying attention to detail, not glossing over something quickly. These words were the harbinger of storm clouds of doom should I not heed their warning and take another look at my first attempt to check something off my list. 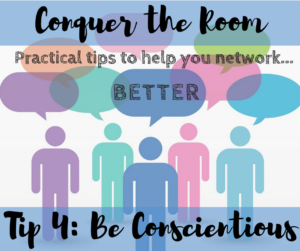 Imagine that you have been in the networking room, making great use of tips 1-3 and you’ve been at it long enough to start seeing the crowd dissipate. You’ve had great conversations. You’ve really mixed it up. Yay you! 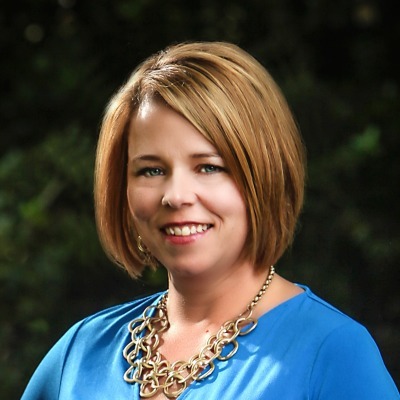 You’re accomplishing your success criteria, and so now what? Well, let’s take a page out of Dorothy’s “How to Get Ahead” manual. Most of us know the story of Dorothy and The Wizard of Oz, right? Here’s a girl, inexplicably picked up by a tornado, carried across dimensions and plopped down in a thoroughly unfamiliar place – not unlike me at a networking event. Can I get an amen? I gotta think that once Dorothy got over the shock of being in a strange land with people she didn’t know, after she received words of wisdom from Glinda, she also may have been thinking, “Now what?” I, on the other hand, would have been wondering why Glinda wouldn’t have just scooped Dorothy up in her little super-bubble and carried her off to the Emerald City. But I digress. If Glinda is the metaphorical networking pro and we are the Dorothys of networking, we too must follow our own paths…ugh. Again with the hard work. Being conscientious means you do the follow up. The interesting thing about the story is what happens as Dorothy follows the yellow brick road, her path to final destination in Oz. First, she encounters the Scarecrow. Now, she could have greeted him, exchanged pleasantries and walked on but she didn’t. Instead she gave him the invitation to join her on the road. She followed up with him. Think of that metaphorically as “Hey, Catherine. It’s been really great talking to you, I’d love to get together sometime. Would you mind sharing your business card?” Get poor Catherine off that scarecrow stake and take her down the yellow brick road with you. What does this mean in real life? Well, you got the business card and contact information, right? Use it! Maybe you have coffee or maybe lunch or a drink. THEN decide if you have the kind of connection that would make it beneficial for you both to meet on a regular basis. If coffee goes well, ask Catherine if you can meet with her once every quarter or maybe twice a year. Maybe she’s a subject matter expert on a certain topic or maybe you can provide something of benefit to her! You have the opportunity to follow through just like Dorothy did. She and the Scarecrow met, followed up and arrived at their goals together. He finally got the brain and Dorothy got to go home. What’s the goal you’re trying to achieve and how can effective networking help YOU get there? If networking is worth doing, it’s worth doing well. You may spend a little extra time cultivating relationships but the long term benefits will make the extra effort so worthwhile. Don’t wait for Glinda to carry you off in her bubble. Be conscientious as you follow your own yellow brick road. Imagine the great relationships you will find along the way. This is the last of four tips for confident networking, campers. Are you ready to go conquer the room? If you haven’t had time to read all the posts or want a little more detail and a chance for some Q&A, register for my FREE webinar! You have two options: October 18 and October 20 at high noon. Grab your lunch a little bit early and join me to talk about how YOU can conquer the room. Register here! Read all the posts at www.taralynnfoster.com under the blog tab.